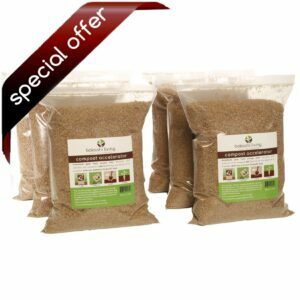 View cart “1+ Year Supply of Premium Bokashi Bran (10 lb)” has been added to your cart. 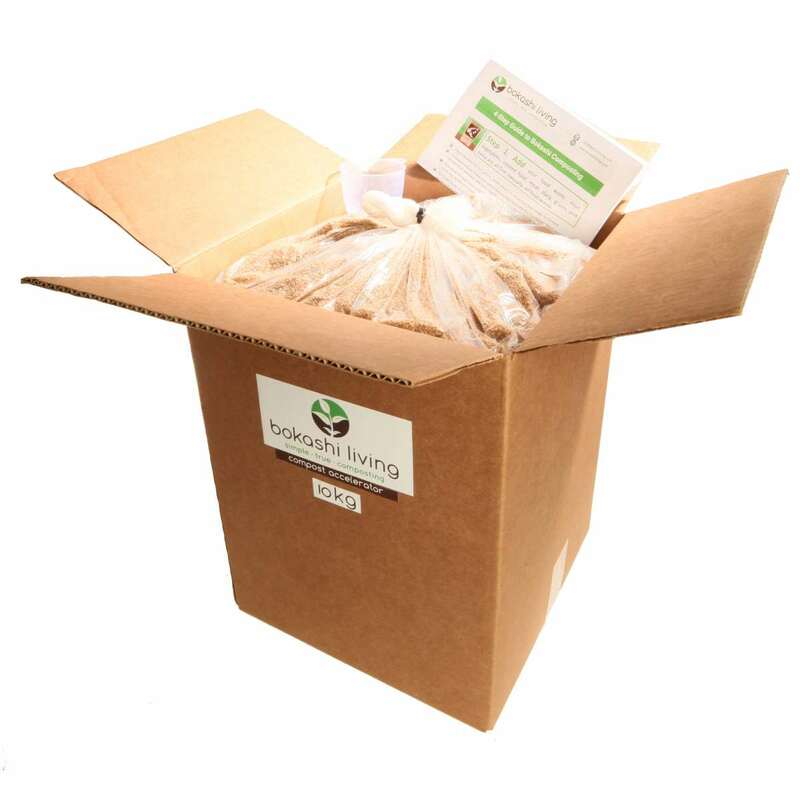 Save over $53, and also economize the most on shipping cost with this 22lb bulk purchase! 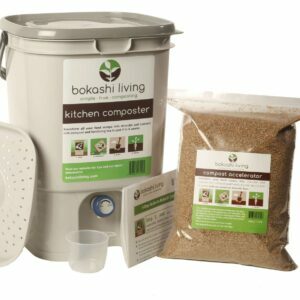 Our 22lb offering is perfect for sharing with friends and family, and for those wanting to use bokashi as a soil amender (see more uses for bokashi in the description below). 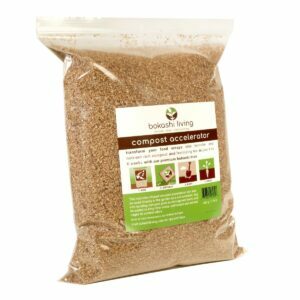 In addition to offering great value, this is our most environmental offering as packaging is reduced to a minimum. 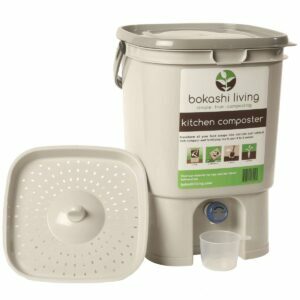 The 22lb bulk package includes our 4-Step and Troubleshooting Guide to Bokashi Composting, a cup for scooping the bran and 2 heavy duty zip-lock bags for daily bokashi storage and use. Find out what’s exciting modern soil biologists, and discover for yourself how your gardens will thrive on the garden friendly probiotics packed within this premium bokashi bran. This 22lb comes packaged in a double tied off, heavy duty plastic bag. Our strict production process ensures that our bokashi bran is always of optimal quality and freshness, before delivering to your door. What’s included in this 22lb package? 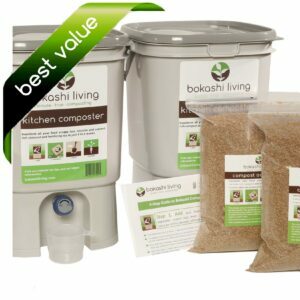 Bokashi bran is best stored in an airtight container, out of direct sunlight, and within a few degrees of room temperature. 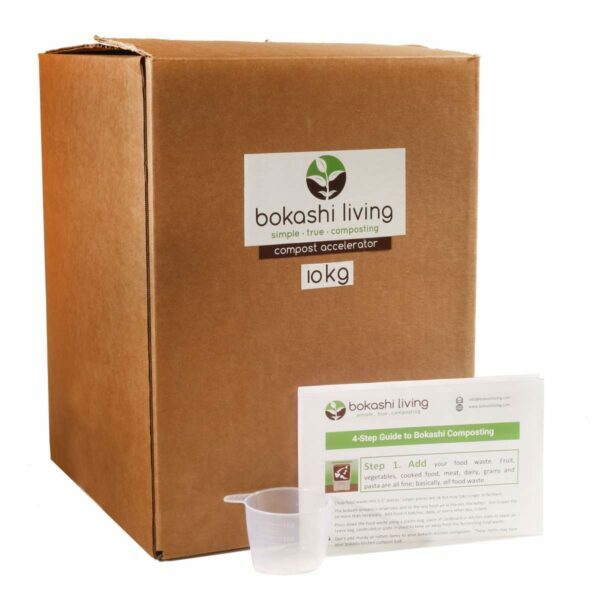 When stored correctly, our bokashi bran will remain fully active for up to 18 months. The 2 x heavy duty zip-lock style bags we include with this package are airtight, and good for daily bokashi use and storage (they hold about 1.75lb each). For storing the remainder of your bulk order we recommend you place it in your own sealed and airtight container(s). This will promote optimal freshness and maximum shelf life.